As wedding is the surreal experience for every bride, so, they dream of looking like a princess on their special day. They do endless efforts to amplify their charisma to bring out their best version. The thing that makes them feel absolutely complete is Bridal Jewelry. Unquestionably, wedding piece adds a vibe of mystique to the bride’s appearance to accentuate her style and her overall wedding attire. Furthermore, for selecting the perfect bridal jewelry, it is important for you to plan everything carefully and choose every piece wisely. Read our insider’s guide to low down on the main points to consider when choosing the piece for your D-day. 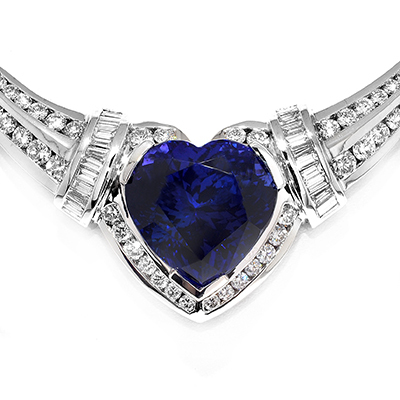 When it comes to buying perfect wedding necklace or pendants piece, it is must for you to consider neckline. 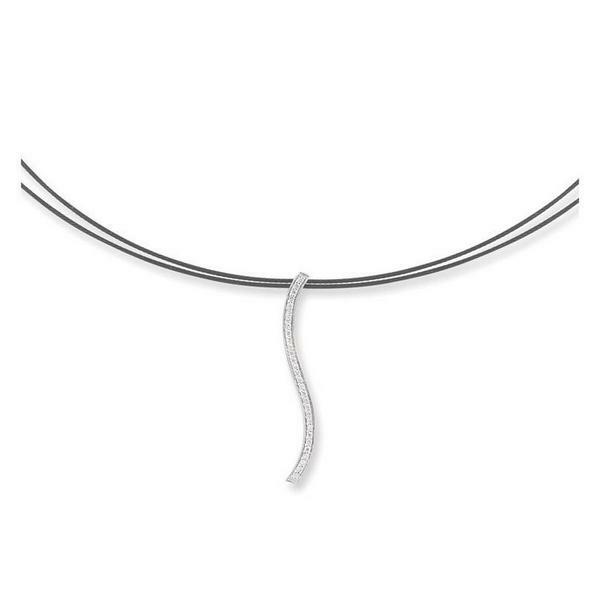 There should be a perfect match between your neckline and necklace’s shape. If you choose the necklace that does not complement to your neckline can ruin the beauty of your dress and your style as well. 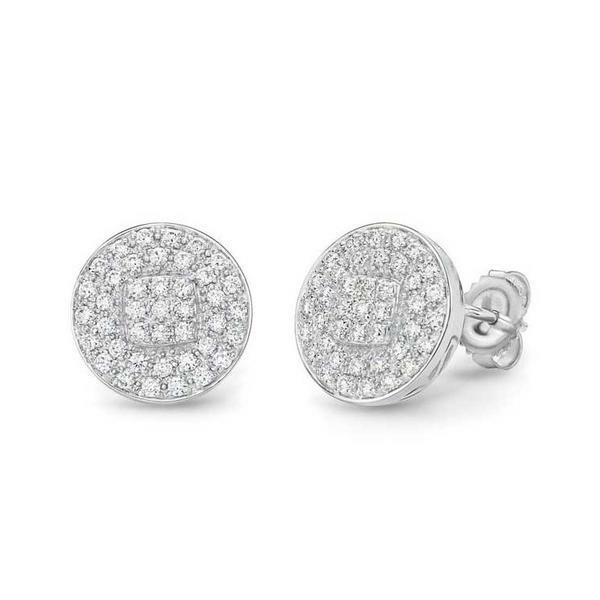 Earrings are considered to be the most noticeable accessories. So, while choosing the style of your earrings, ponder 3 things including your Wedding Dress, Hair Style, and face shape and features. If you are buying the matching set of necklace and earrings, always visualize whether it would complement all aforementioned points or not and buy accordingly. If you are looking to add a classic touch to your wedding attire, then what else can be better than wearing your mother’s heirloom? As old is gold, so, wearing your mother or granny’s jewelry can add a vintage touch to your personality. Thus, a gorgeous vintage piece can make your style classic and appealing. Sometimes adding a hue into your jewelry can makes your outfit more appealing and vibrant. To achieve this, you can consider buying gemstone bridal jewelry. All you need to take care is your skin tone. Always choose the color of your stone as per your skin tone. It totally depends on your preference and your choice that which design and style you opt for your wedding jewelry. In fact, you are free in choosing any style, trendy or vintage, whatever you want. Just keep your style statement and personality in your mind to acquire the piece that perfectly complements your style. Preferred Jewelers International has earned an enviable reputation in the Jewelry Industry. This largest association in the world of Independent Jewelry Retailers provide Nationwide Lifetime certification with no additional cost. Buy all sorts of stylish classic inspired Bridal Jewelry across San Diego, California at a competitive price at Unicorn Jewelry & Watch Boutique associated with Preferred Jewelers International. If we talk about the fashion industry, nothing is persistent. Be it clothing, accessories or jewelry, it changes with the passage of time. 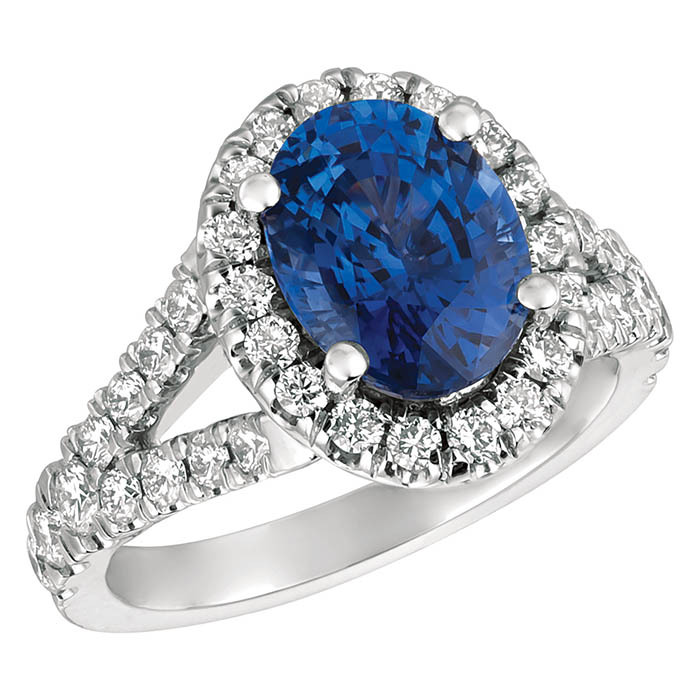 But one thing that never goes out of the vogue is Gemstone Jewelry. Over the past few years, we have seen that colorful stones have been continuously used to add a vibe of boldness in the jewelry. Therefore, gemstone ornaments are being considered as the perfect timeless piece that can accentuate your personality and let your style express the individuality. Colored stones are not only considered as the embellishing accessory that adds audacity to your style, but the beauty of their color expresses everything that words fail to do. These precious stones act as a great healing agent. Being a good luck stone, numerous couples are choosing it as Engagement rings. Therefore, you can go for birthstone option as well. While selecting the stone, analyzing the color quality of the gemstone is an important consideration. Premium-quality stone can be easily identified from its saturation, hue, and tone. 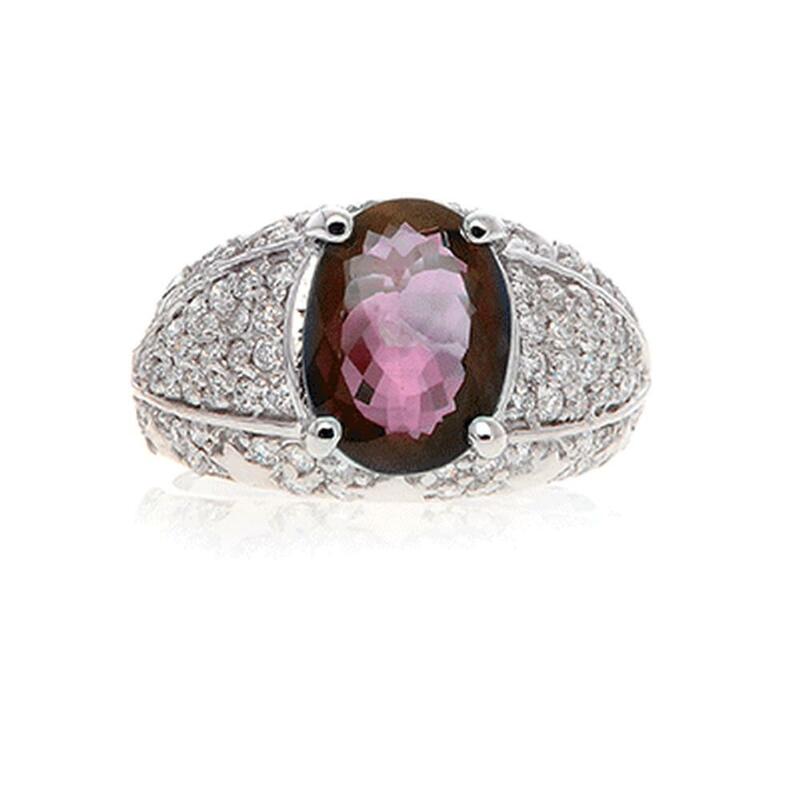 A perfect gemstone ornament will showcase the perfect color saturation, great depth of tone and hue that appears neither too light nor too dark. You can also select the color as per your skin tone. If you are looking for buying a gemstone ring, then you should for sure acknowledge the cutting approach and techniques of it. Remember one thing, higher the cut quality of the stone, more will be the aesthetic value of the ring that features optimal amount of brightness. Clarity is another considering factor while analyzing the quality of gemstone jewelry. 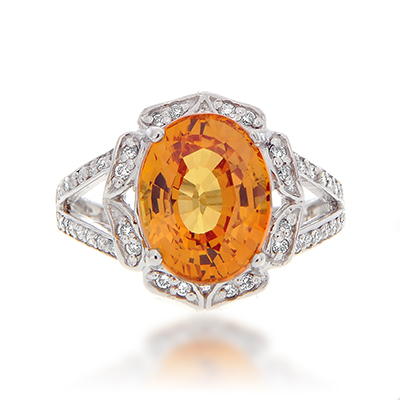 It is natural that it includes inclusions because they are untreated stones. Treated gemstones do not carry any astrological benefits, so avoid buying such jewelry. Therefore, always acquire transparent stone, as more transparency ensures you with good quality and great benefits. 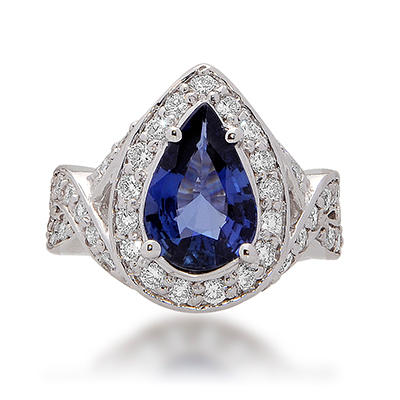 If you are buying Gemstone ring as your Engagement Ring, then this tip is very important and useful for you. As you have to wear this ring for your whole life, so you should think about its care and maintenance as well. A scratch on a gemstone may reduce the value of it. Get lifetime assurance on your jewelry piece without going heavy on your pocket at Preferred Jewelers International Jewelers. This Nationwide Lifetime Certification Program assures you with the unmatched level of security at no additional cost. Takat Jewels associated with Preferred Jewelers International have earned an enviable reputation in the world of gemstone jewelry. Being a renowned jeweler across New York, they provide you with the classic and awe-inspiring collection of bridal jewelry, engagement rings, wedding rings, bracelets, anniversary bands, designer jewelry, and much more at a price that can leave you surprised. Zeroing on the perfect engagement ring that symbolizes your love along with a commitment for life is not a cakewalk. An engagement ring should be an extension of one’s persona. So, here are a few trendy engagement ring styles that we know will certainly appeal you. The intertwined mixed metals ring is a symbol of eternal love sealed with a solitaire diamond that lasts forever. 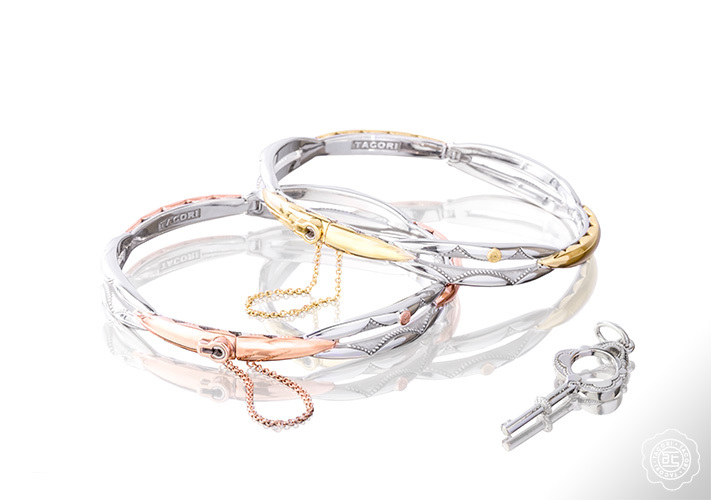 One can always opt for different metal combinations like rose gold and platinum or even charcoal metal combined with yellow gold for a unique appeal. Chunky rings might not be everybody’s going to choice, but couples always love the detailing on the rings that make the engagement ring more unique in its appeal. Filigree detailing on the band is just the right choice for you or you can even opt for a Prong setting diamond ring that brings out the whole idea of detailing in a new fashion. Diamonds in traditional cushion cut, set in Halos have always been a favorite among couples who have an eye for vintage appeal. 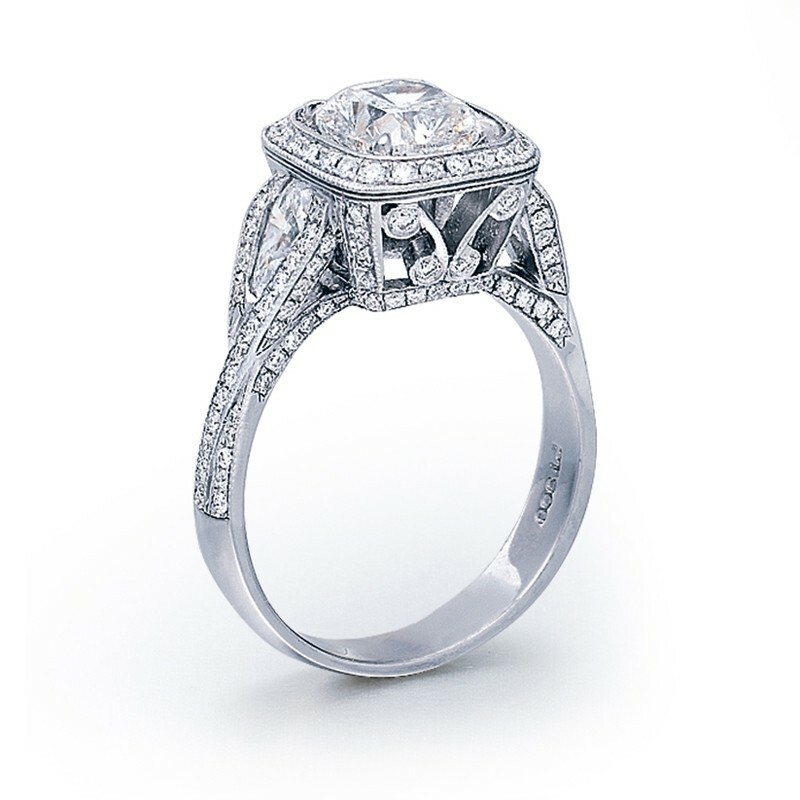 Halo settings in diamonds when combined with filigree on the band takes the vintage appeal to its highest level. 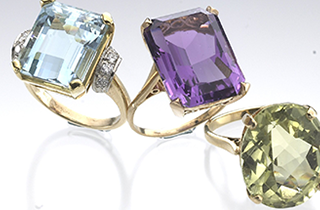 A triple gemstone ring is a symbol of timeless love in which the three gemstones represents each the past, the present and the future of the couple. A combination of an emerald cut sapphire with garnets as side stones is a classic option for the couples looking for unique and classy rings. French Pavement settings in diamond engagement rings are the new catching up trend on engagement rings. This setting of diamonds brings out the best of shimmer effect minimizing the show of metal accents. 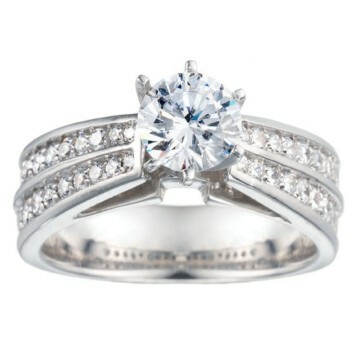 Preferred Jewelers understands that buying an engagement ring is a very crucial decision. Hence ensure that you buy the ring from one of the certified jewelers of Preferred Jewelers International™ . Only a Preferred Jeweler can offer you the Lifetime Nationwide Warranty program at no additional cost to you. For seven decades, Bailey’s Fine Jewelry is serving Fayetteville, Greenville, Rocky Mount and Raleigh in North Carolina. They offer designer jewelry collection including Diamond Engagement Rings, Loose Diamonds, Wedding Bands and Custom Jewelry at affordable prices. So, you are done with the most stressful part of your trousseau shopping and next on the list is your bridal jewelry and accessories. Now, you are trying to figure out what should you buy, ‘something classy or something Chic’. Here are a few tips that would help you to decide what type of jewelry to select for your big day. Firstly, since you are done with your dress already, it is going to be easy to decide the jewelry that best compliments your attire. Is your dress more about cuts and flares and less about embellishments then we recommend you to choose a chunky necklace set. You can even add a tiara for a fairytale feeling. If your dress is quite over the top on embellishments, we advise you to keep your jewelry restricted to dainty elegant pieces. 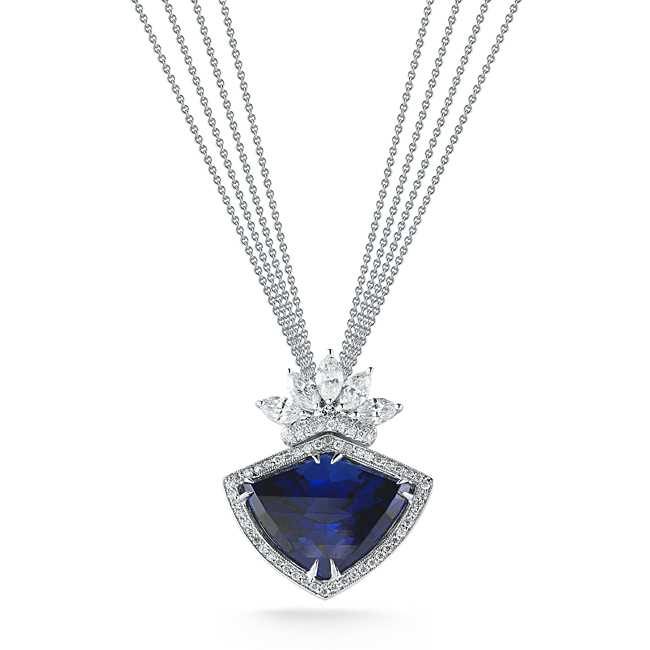 For instance classy diamond lockets along with diamond drop earrings. If you are looking for something elegant and timeless, then opting for diamond stud jewelry along with an exquisitely crafted sleek bracelet will do wonders to your attire. 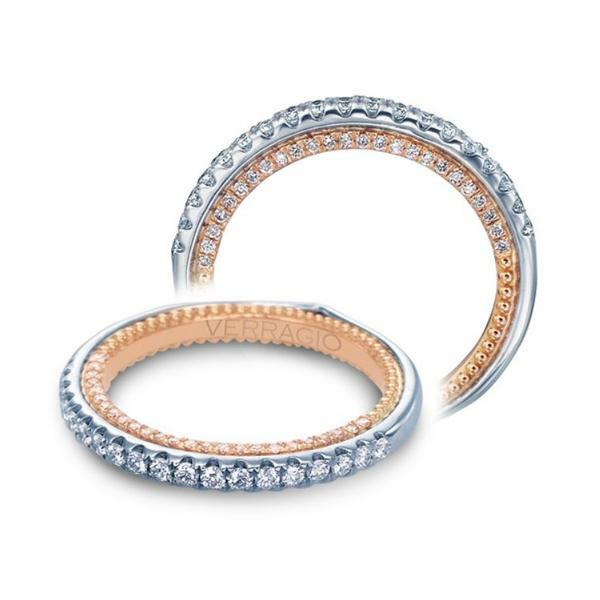 You can always match the metal of your jewelry according to the color of your wedding gown. For a peach or pink wedding gown, opt for the jewelry in rose gold as it complements almost all skin tones and gives it an ultra chic look. For white wedding attire, sterling silver and platinum are best metals to choose. For the ivory or gold wedding dress, you can always opt for yellow gold. If still, your jewelry shopping seems to be an enormous task, then we advise you to sit back relax and just choose one or two classic pieces of jewelry like a cocktail ring and a tiara, or you can choose a delicate necklace along with a bracelet and ditch earrings for once. On a final note, if still, you seem to not be able to ‘zero on’ your favorite jewelry, you can always try to customize an heirloom to suit your persona and make your big day even more remarkable for yourself. Let your jewelry, show your true persona. Shop the bridal jewelry from any certified jewelers who are affiliated with Preferred Jewelers International™ Headquarters at 1170 Kane Concourse Suite 420, Bay Harbor Islands, FL. Visit www.preferredjewelersinternational.com for more details. Since 1905, Michelson Jewelers offers the finest collection of loose diamonds, bridal jewelry, engagement rings, wedding bands, anniversary rings, fashion jewelry, designer watches and also known for their excellence in customer service and quality fine jewelry designs in Paducah, KY.
Can’t find your warranty card? Not to worry. Contact The Preferred Jewelers International headquarters at 888-998-8874. Most popular as anniversary rings, 3-stone rings feature three stones (as the name suggests) signifying past, present and future – a bond eternal. A large center stone symbolizes the present and is embellished by a smaller stone on each side – one symbolizing the past and the other, future. 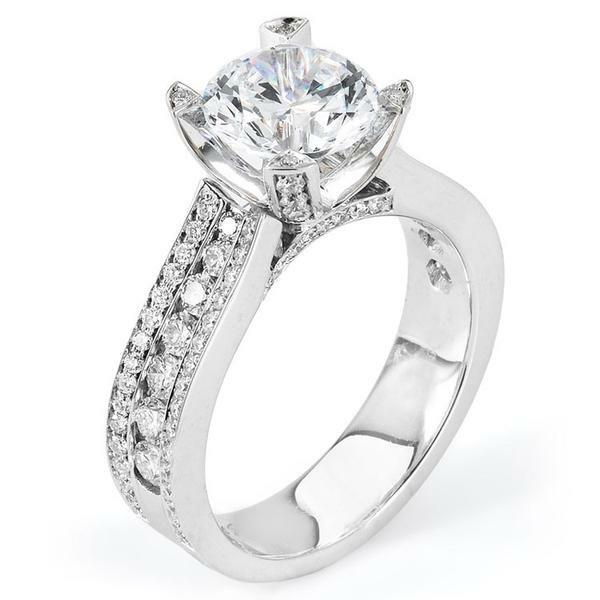 Although there are no rules to suggest a larger center stone, it is the most common setting. However, some modern designs deviate from this tradition. In such a ring design, all the three stones are the same size and more emphasis is put on the shank design which is more often than not inspiringly innovational. 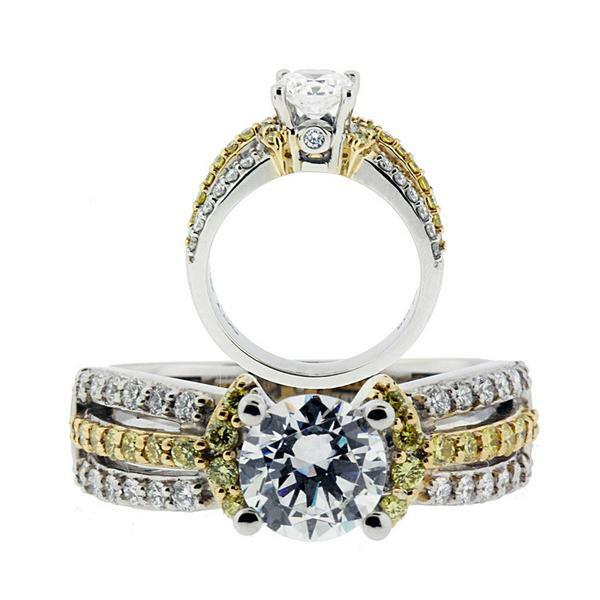 In a traditional 3-stone ring, the three stones are carefully proportioned to maximize magnificence. You may also opt for gemstones other than diamonds – perhaps a birthstone or a valuable inheritance. However, diamonds remain the most popular choice. 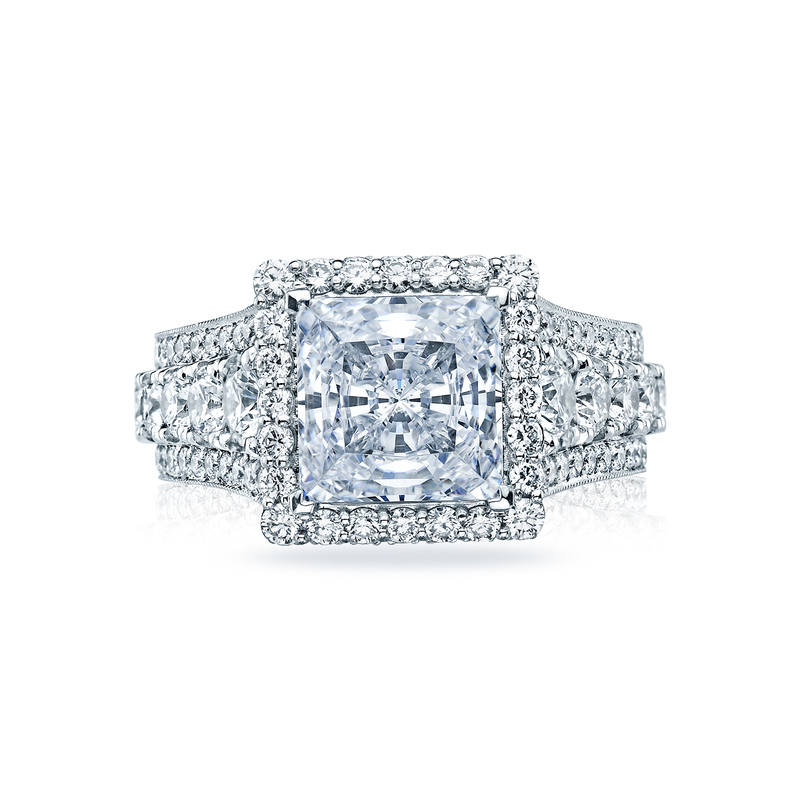 Cuts can range from square, Princess cut to round brilliant. More and more people are choosing 3-stone engagement rings over solitaires, owing to their symbolic nature and glamorous designs. They also allow for more customization and personality which makes them brilliant alternatives to conventional styles. One thing 3-stone rings are perfect for though are as alternatives for wedding bands. If you want to spice up the plain old tradition of flaunting plain old wedding bands, 3-stone rings are perfect choices. Signifying an eternal bond of love, caring and friendship, the ingredients of any perfect marriage, these are not just your run-of-the-mill, impulse-based alternatives. People who opt for 3-stone wedding rings actually do so after putting in some considerable thought into it. Shop at one of the many certified jewelers affiliated with Preferred Jewelers International and take advantage of the Nationwide Lifetime Preferred Warranty Program. Get your jewelry serviced, repaired or exchanged at anywhere in the country at any of the Preferred Retailers. PJI is one of the pioneers of independent retailing networks in the country. If you are looking to become a member, contact Preferred Jewelers International™ Headquarters at 1170 Kane Concourse Suite 420, Bay Harbor Islands, FL. Call 888-998-8874 or visit www.preferredjewelersinternational.com for more details. Saettele Jewelers – a unique jewelry store in Town & Country, MO is a member of Preferred Jewelers International. Shop bridal jewelry online from Saettele Jewelers, featuring unique fine jewelry and one-of-a-kind pieces that’ll make you the center of the crowd. In this article, we share everything you need to know when you’re out shopping for jewelry. Not only does this cover fine jewelry but it provides crucial tips on purchasing fashion jewelry as well. There is a variety of options to choose from and for most people that is the biggest hurdle. Don’t get me wrong, it’s great to have so many options. That way you can make sure there is at least one style that looks incredibly good on you. But the problem arises when you aren’t sure which one it is. You need to know the type of gem that you are purchasing. You have three options as far as the type of gem: natural, imitation and synthetic. While natural and synthetic stones are the real deal, imitation stones are made to look like a real gemstone, but could be anything from colored glass to plastic. Natural comes from the ground, while synthetic ones are created in a lab. If you have a round face, stay away from long dangling earrings. Such earrings generally make your face look rounder and draws attention away from great features you may have. Instead, opt to purchase small dangling earrings or stud earrings for a look that enhances your round face and features. Remember that even costume jewelry needs careful attention. Stones in costume jewelry are usually held in place with glue instead of a physical setting. You will need to avoid immersing your jewelry and make sure to stay away from the use of harsh chemicals. Use a damp cloth, then dry it with another clean, dry cloth. This will keep any costume jewelry that you have looking great. Be very careful with the types of beauty products that you wear near your fine jewelry. Some types of perfumes and even many lotions include ingredients that can damage your jewelry over time. Try to wear perfume in locations that won’t make contact with whatever you are wearing and you will be able to avoid this problem. To take care of your diamond jewelry all you need is a baby toothbrush, ammonia, water and a soft cloth. You soak your jewelry in a little bit of ammonia mixed with water and then scrub it softly with the toothbrush. This will help remove all of the grime that builds up on it. Then rinse it off with water and dry with the cloth. It will shine like new after this. If you wear fashion jewelry you have to keep in mind that it cannot be cleaned the same as regular jewelry. You should wipe it with a damp cloth and then dry it. Soaking it in water can lead to damage since most fashion jewelry is made with jeweler’s cement. Avoid spraying your perfume or hairspray after putting your pearls on. Instead, spray first and then put your jewelry on. Pearls are extremely porous and absorb chemicals found in things like hairspray and perfume very easily. Minimize the contact between your pearls and such chemicals to keep them beautiful. Always remove your jewelry before swimming. Chlorine is damaging to many types of metals that jewelry is made of. Salt water can also degrade jewelry. You can extend the longevity of your pieces and keep their beauty intact by removing them prior to swimming. Make sure you buy jewelry only from a reliable source. It is important that you try on different styles to see which one suits you. Where to Get Loose Diamonds in Tampa now to find your style and purchase your favorite jewelry items. Antique jewelry encompasses various designs. Every style is unique in itself and suitability varies accordingly. Some designs are well-suited to a work environment while others look out of place. In face of staggering possibilities, it pays to know what to wear and how. There are many distinct time periods of antique jewelry with their own unique art styles and aesthetic parameters – Georgian, Victorian, Edwardian, Art Deco, Art Nouveau and well into vintage with Retro designs. A jewelry item that is more than hundred years of age can be identified as antique jewelry. A trinket which has witnessed history is a rare item with value. Some of the items can be categorized as used pieces. Every unique piece portrays superior workmanship. An antique piece of an age differs from the new jewelry. If you get a chance to examine an earring belonging to the Art Deco age, you will see the difference in terms of design of early Victorian or Georgian. One can buy jewelry online, and in doing so, he would know about the item in details. 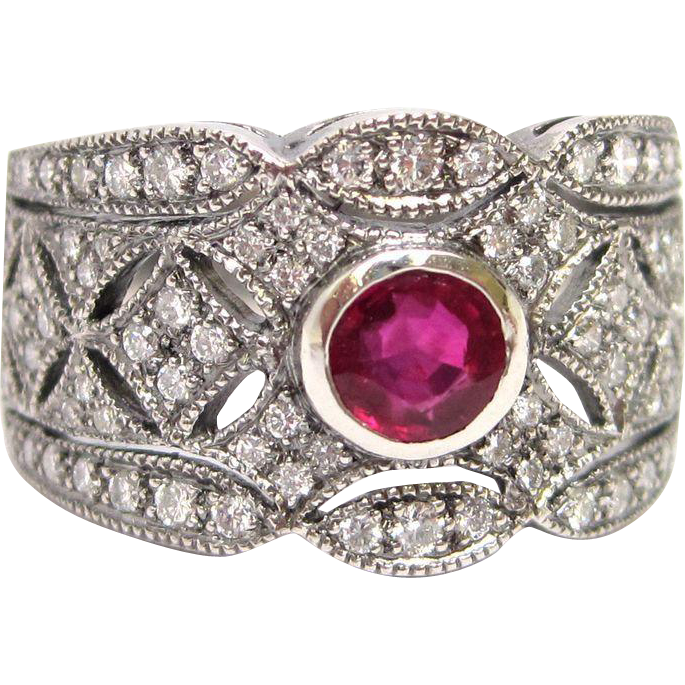 An antique jewelry can be made with unsurpassed gems and metals. Antique pieces can be crafted from gold, platinum, and silver. Available pieces could be also made from other metals. One can trace antique jewelries of alpaca, iron, copper aluminum, and other metal variations. Online auctions even displayed items made from titanium. Antique bracelets and necklaces combine metal artistry. Metal or stones cannot denote the true value of vintage jewelry. The traditional quality contributes in making the item exemplary. Time would enable determining the value of the pieces. Once a connoisseur plans to buy Jewelry Online, he can spend bucks for invaluable stones, emeralds, rubies, diamonds, and sapphires. There are even items of semi precious stones like topaz, tourmaline, lapis Lazuli, aquamarine, and the rest. For the mediocre antique lovers, there are artistic pieces of carnelian and onyx. Vintage or authentic jewelries are available in smart pyrite and marcasite quality. Antique designer items of polished steel and enamel are enough to fascinate jewelry adorners for centuries. One can even trace some organic antique jewelry made from amber, coral, ivory, pearls, and shells. There are leather items and fur made jewelries complimented for their remarkable design and artistic display. The royalty marked and created a trend for jewelry. This served as a hallmark of quality and class. There are brands in the market which gathered fame as “haute jouallerie” in the first half of the 20th century. An antique jewelry is always a standard combination of elusiveness and delicacy. Silversmiths and goldsmiths of age were superior designers and artisans with metals. At the time, the church even acted as a significant commissioner for smiths. When grouping antique jewelry one can enrich the collection with Victorian jewelry, Pre-Victorian jewelry, Edwardian jewelry, Retro jewelry, Art-Deco jewelry, and Art Nouveau jewelry. One would be awe-inspired to take a look at the Victorian jewelries crafted in gold and accentuated with precious enamels. The Art-Nouveau pieces come with free flowing designs and effortless lines of curving. A vintage jewelry admirer can identify the pieces with dragons, feminine faces, and exemplary butterfly designs. There are even pieces which became popular during the time of King Edward. They came with the tag Edwardian. With rich gemstones and diamonds, the pieces can surely attract the mass of ardent jewelry lovers. 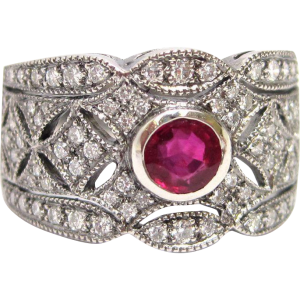 Buy all sorts of vintage, antique and period-inspired jewelry at low prices at Preferred Jewelers International-St. John & Myers Jewelry. Fracture filling is a process to improve the clarity of low-quality diamonds by filling the fractures and inclusions with a specialized epoxy like refractive substances. These substances closely match the refractive index of diamonds and are hard to detect without expert intervention under technological assistance. Fracture-filled diamonds are disregarded in the industry and most diamond dealers refrain from having anything to do with them. As a professional in the diamond industry, and even as a buyer, you should know all you can about fracture filling. Here is a comprehensive guide to fracture-filled diamonds by William George Shuster from JCK. More than ever before, today’s jewelry store manager has to be a know-it-all. He or she must understand new technology and new retailing strategies in order to direct buying and selling, merchandising, repair, custom design, hiring and a dozen other tasks. Yet rarely does any single source offer information and guidance. This new JCK series is designed to help fill the gap. The goal is to take a single development that affects every job in the store and offer guidance on what the staff needs to know to make it work. The first choice: fracture-filled diamonds. see here full post…. By now, you should be able to understand what fracture filling involves and entails. For more information, visit Preferred Jewelers International. Colored diamonds are valued almost primarily for the intensity and distribution of their color. Learn about the factors that make fancy color diamonds so desirable. In diamonds, rarity equals value. With diamonds in the normal range, value is based on the absence of color, because colorless diamonds are the rarest. With fancy color diamonds—the ones outside the normal color range—the rarest and most valuable colors are saturated pinks, blues, and greens. In all cases, even very slight color differences can have a big impact on value. 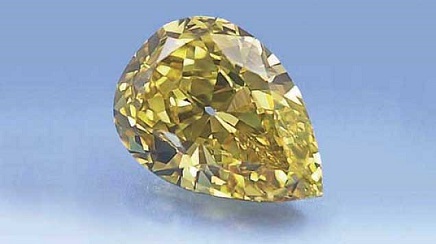 Compared to fancy yellows and browns, diamonds with a noticeable hint of any other hue are considerably more rare. Even in light tones and weak saturation, as long as they show color in the face-up position, they qualify as fancy colors. Red, green, and blue diamonds with medium to dark tones and moderate saturation are extremely rare. See full post here. Are you prepared to surprise the new mom this 8th of May? 8th of May is the second Sunday of May 2016 and is what’s known as Mother’s Day, in case you were wondering. One of the only days that’s dedicated to honoring what is arguably the most important member of a family, Mother’s Day should never be forgotten; especially so, if there’s a new mom in the family. Liz from Designers & Diamonds provides her suggestions on the best gift for new moms. Mother’s Day is May 8th. I repeat, Mother’s Day 2016 is May 8th. That’s in a smidge over two weeks, so now would be the time to start shopping. Unless you want to be like me and panic on May 2nd, frantically searching through awful novelty gifts to see what will arrive in time with Amazon Prime. Do as I say, not as I do! Preferred Jewelers International offers free Nationwide Warranty for items of jewelry purchased from any of its associate retailers. So, you can get your jewelry repaired, cleaned and checked from any Preferred Jeweler in your town, even if you move to a different location. With over 206 retail locations, Preferred Jewelers International is one of the largest associations of independent jewelers in the United States.